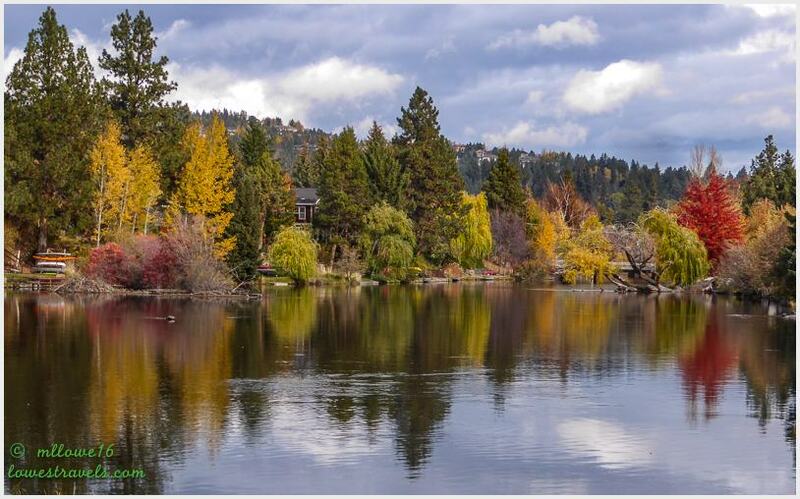 So much has been blogged about how beautiful and charming the city of Bend is. We scheduled a five-day stop to experience what the buzz was all about. During our short visit, we saw why some folks we’ve met have gushed about it and considered moving here. We learned that Bend offers a good balance of beautiful scenery surrounded by several majestic peaks of the Cascade Mountains. And we loved the laid-back lifestyle and diversity of outdoor activities. Although our late October arrival date made us subject to some chilly and rainy weather, we really enjoyed this place. One thing we immediately noticed while driving around town was the heavy use of roundabouts here. There are 30 of them, and we traversed more than half of them during our stay. But these roundabouts aren’t just boring traffic circles, for each is beautifully landscaped and holds a unique display of art. 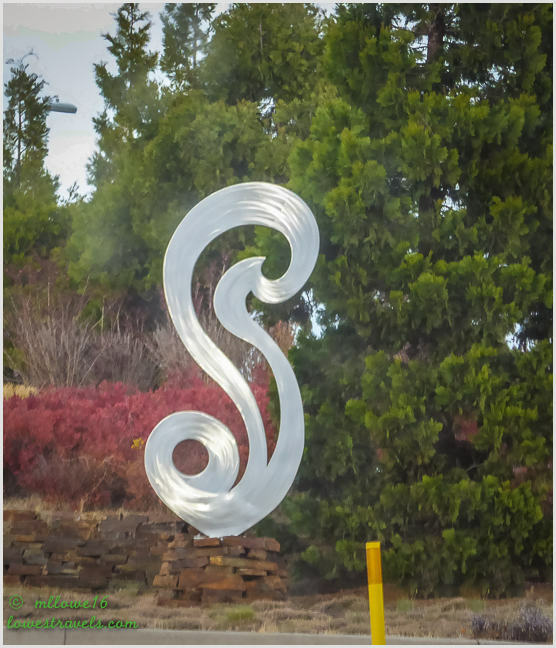 The city made it easy and fun for art lovers to see these public displays by just following the Roundabout Art Route map. We arrived when fall foliage was in full display. 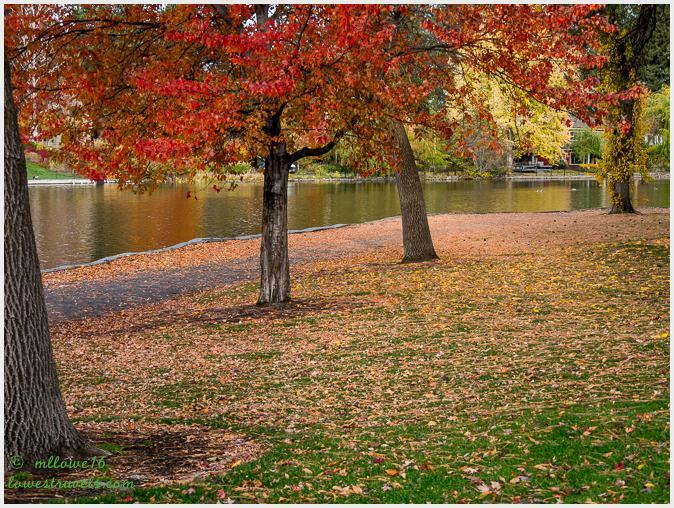 Endless rows of brightly colored trees ranging from red to yellow to orange to green draped the city in autumn glory. 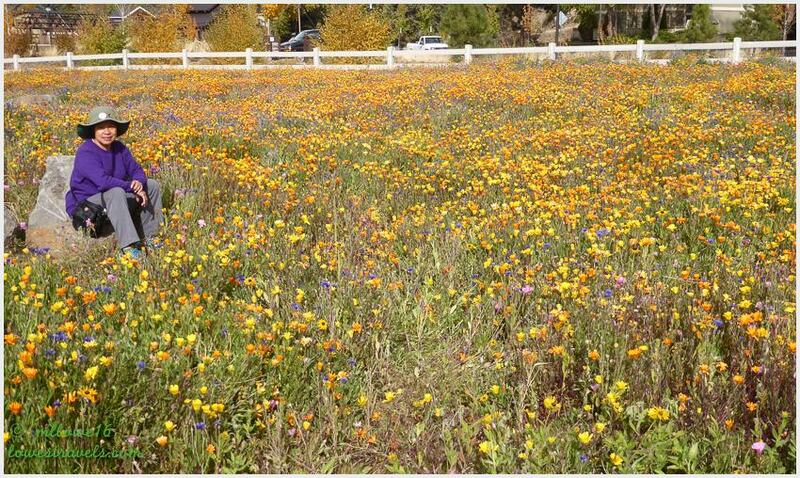 Whether we were driving around town, following trails or taking a leisurely walk along the Deschutes River, the vibrant burst of colors made us smile. Of course I had to capture the beauty! 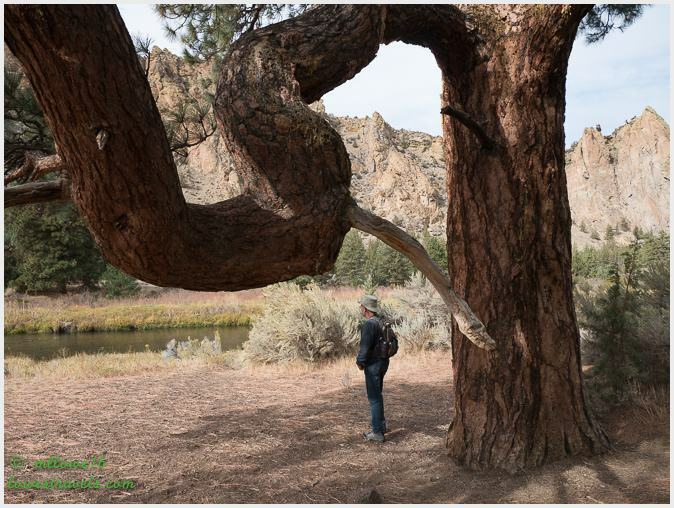 Bend is known for its many outdoor activities, including our favorite – hiking! 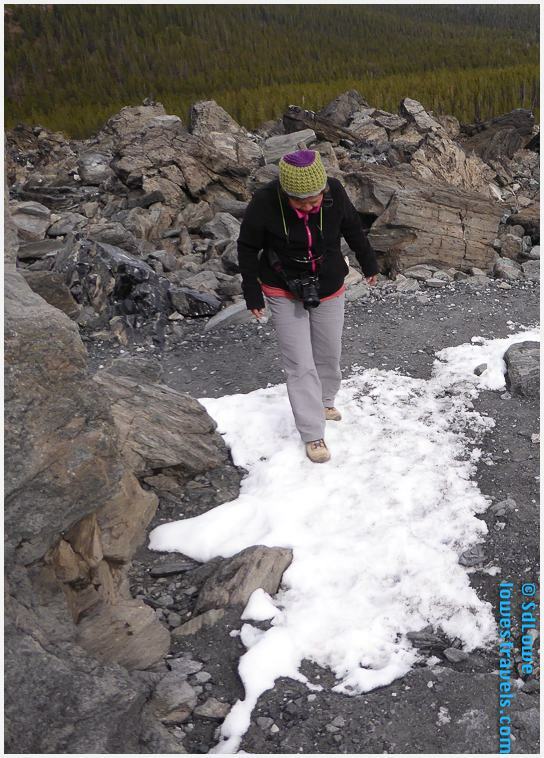 With many trails to choose from, we lined up the ones we would tackle on several chilly mornings. 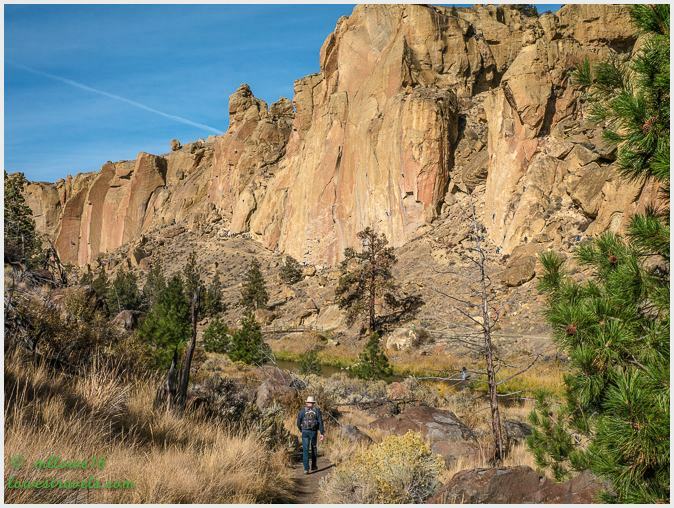 On a sunny Saturday we chose Smith Rock State Park, about 26 miles north of Bend, for our long moderate hike. Unfortunately, many other folks had the same idea. Not only was it a weekend day (we should know better), but it was also the first beautiful day after a storm passed through. And we didn’t start early enough – shame on us! 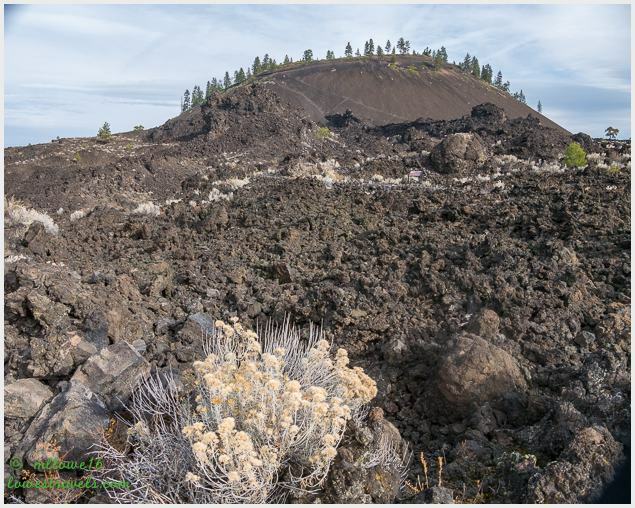 Nine miles south of Bend, the Newberry National Volcanic Monument teems with ancient lava flows, cinder cones, caves, obsidian flows, lakes, rivers, forests, and mountains. Steve wanted to explore the lava tube, but it was closed for the winter. Instead we wandered around Oregon’s largest volcano, which sits between the Oregon Cascades to the west and the high desert to the east. 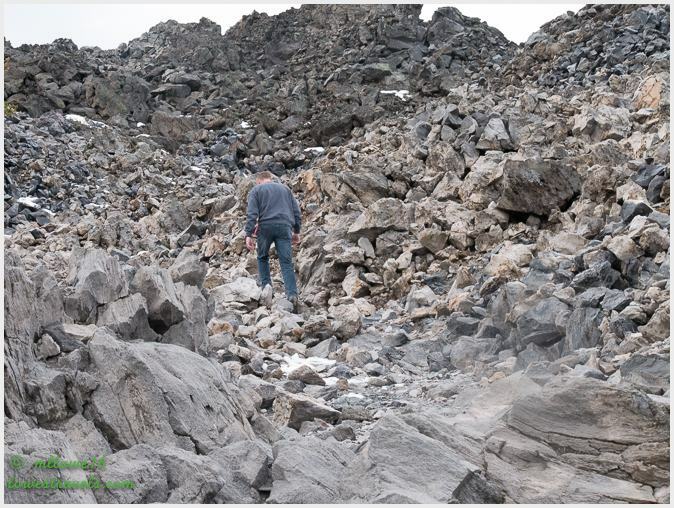 After walking the Trail of the Molten Land, we drove up to the summit of Lava Butte and hiked the Lava Butte Rim Trail. 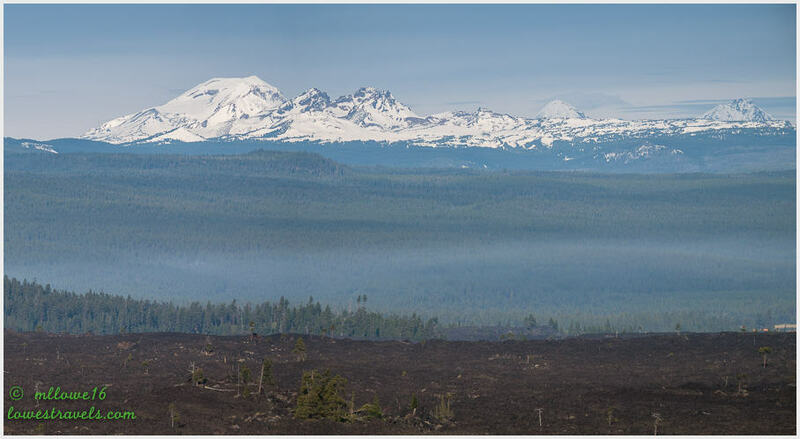 From there we had awesome views of the Oregon Cascade Range, which is part of a much greater grouping of volcanoes and mountains around the Pacific Ocean known as the Ring of Fire. 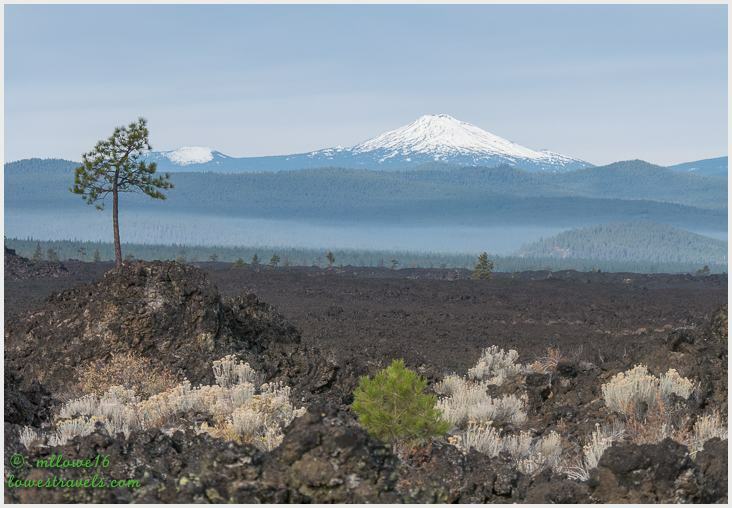 It extends 775 miles from California to Canada and contains more than 3,400 volcanoes, including the more than 450 volcanic vents on the flanks of Newberry. 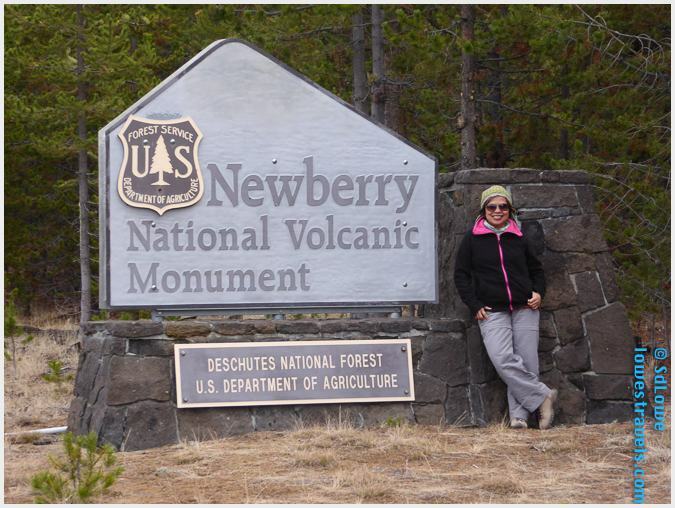 We continued on and drove 25 miles south to the Newberry Caldera. 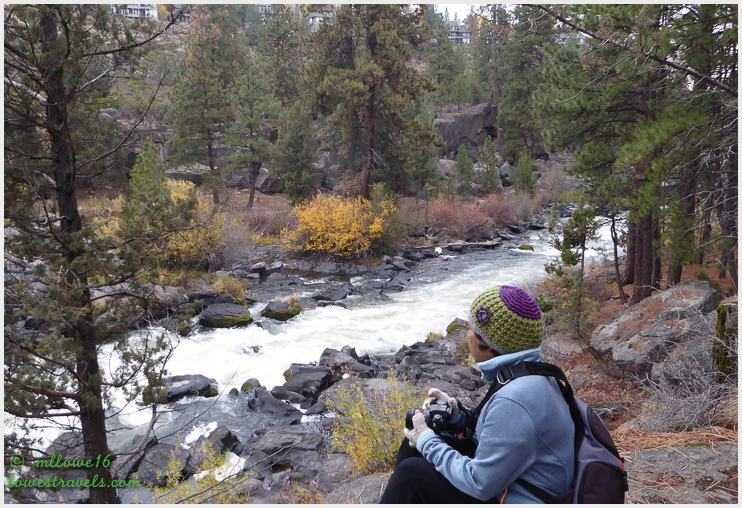 There we hiked up the one-mile loop interpretative trail which covers just one corner of the flow. 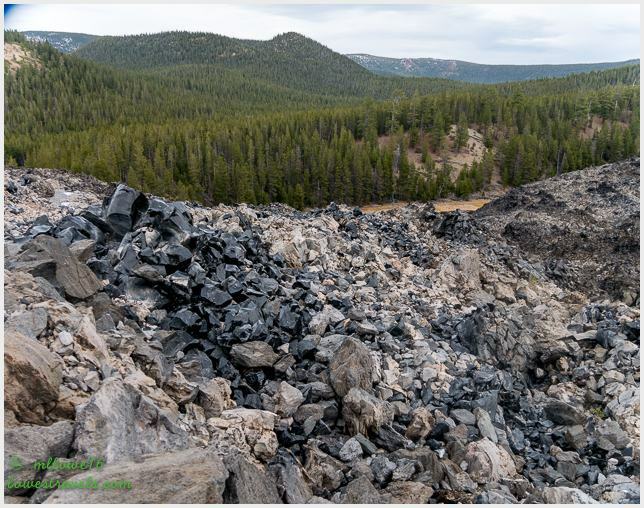 The Big Obsidian Flow is Oregon’s youngest lava flow, where more than 170 million cubic yards of obsidian and pumice erupted from a vent in the caldera. Yeah, it was chilly up here! 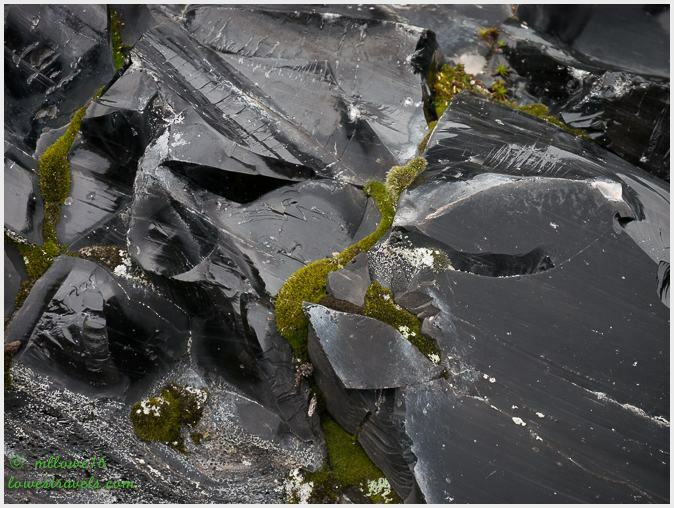 A tiny iron oxide gives obsidian its black tint. Steve shaved hair off his arm with this razor-sharp piece! 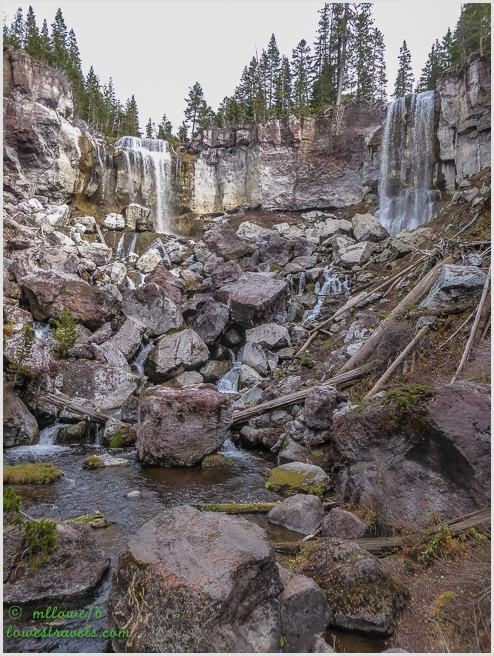 Leaving the obsidian flow behind, we headed toward Paulina Falls, which can be accessed from above and below. 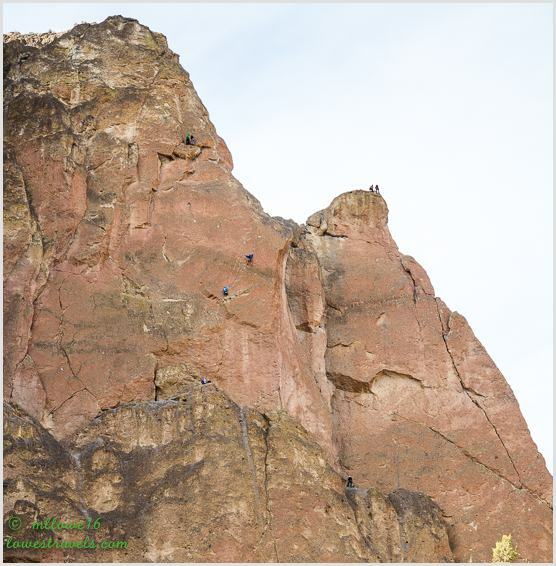 The side-by-side falls drop up to 80′ over volcanic cliffs. 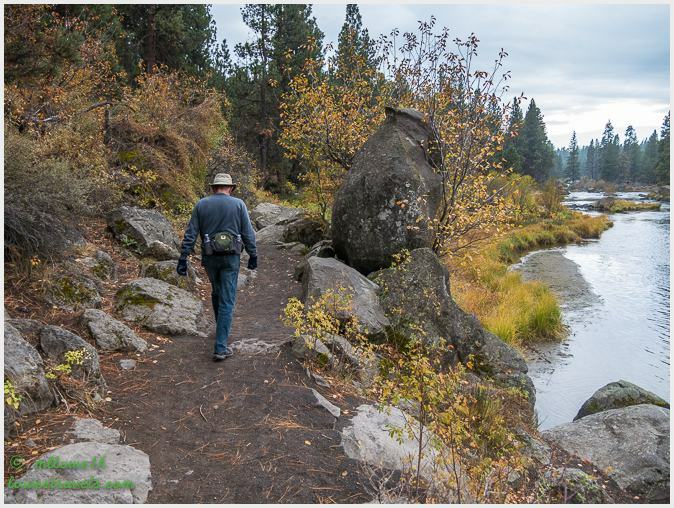 The Deschutes River Trail is right in Bend, and it meanders more than 12 miles through the heart of the city. We followed it on two separate days, walking along the river for which it’s named. 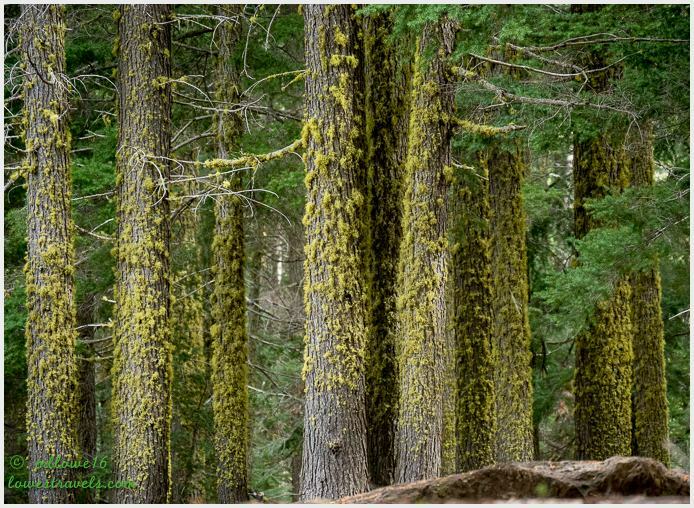 The northern half was more of a nature experience, as the trail passed through areas lined with pine and juniper trees. Our second journey on the southern end of the trail passed through the popular Old Mill District and several urban parks. On our last day we drove the scenic road that wound up and around the cone of Pilot Butte. 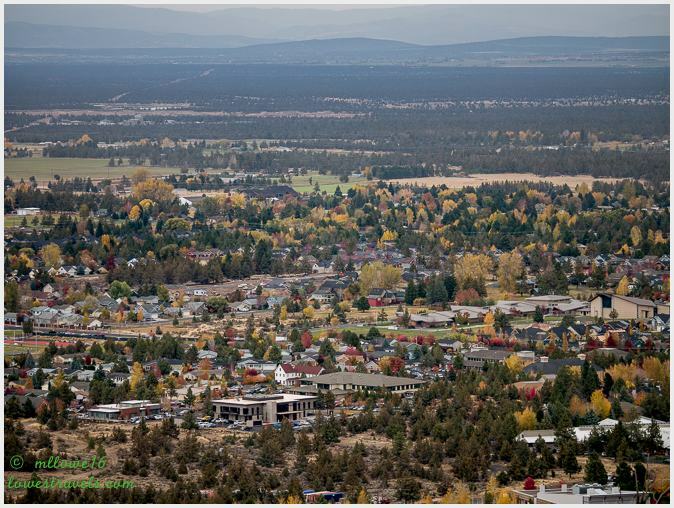 It rises nearly 500′ above the surrounding plains, and from the top we saw the entire city of Bend, as well as several major Cascade peaks. 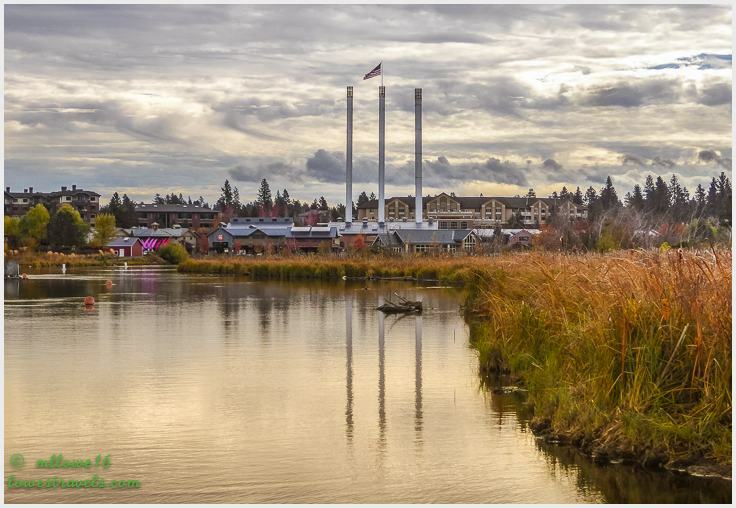 The major drawbacks that would stop us from settling in Bend are the growing population and associated heavy traffic. 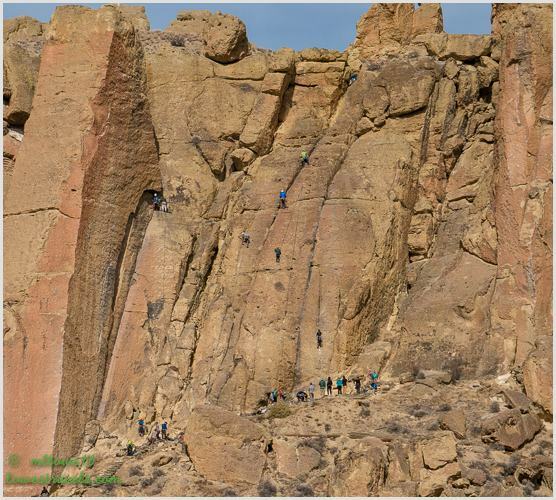 Other than that, Bend has most of the criteria we are looking for and deserves another visit during another season. For now we enjoyed our stay in this charming and busy city. Next up: A quick visit with Raven and Chickadee! Looks like a beautiful place to visit, Mana Lisa. Love the Lava Ness, and the tree reflections are gorgeous. Remarkable views one after another and another and another. You see so much beauty, and thanks for sharing. Gorgeous! 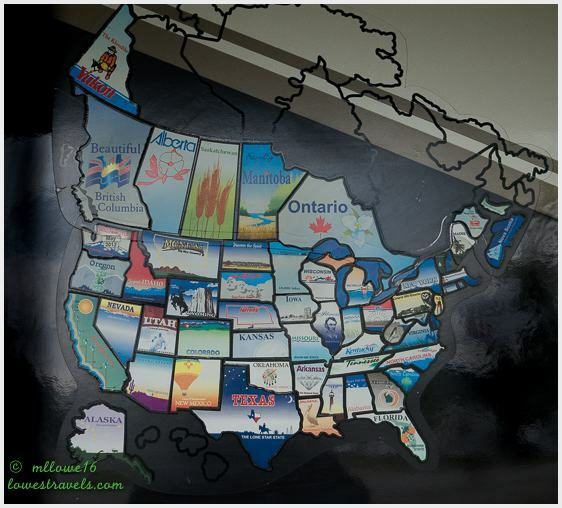 Just found your blog via John and Katie’s RV Honeymoon blog — so glad I did! What stunning photos — we’re definitely going to have to stop at Bend one of these days! Okay… maybe next year! Looking forward to reading more! Lava Ness …. funny! 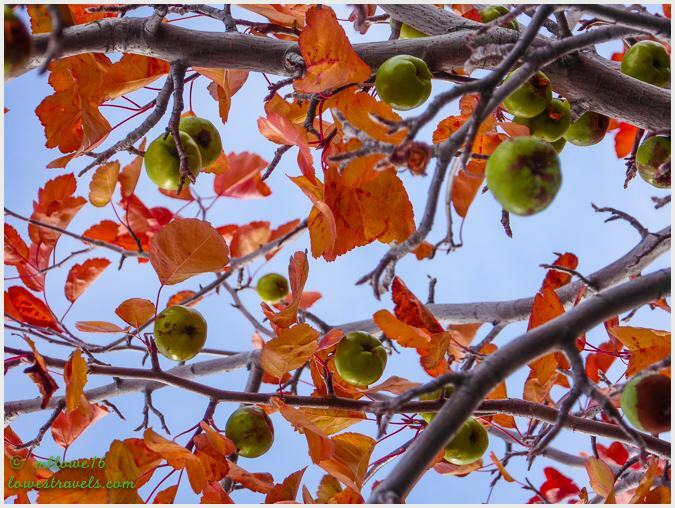 I never tire of seeing fall colors, and it is one of the things I have missed here in Texas these few years. Beautiful photographs as always. Thanks for taking us on a trip down memory lane and a few new jaunts as well. 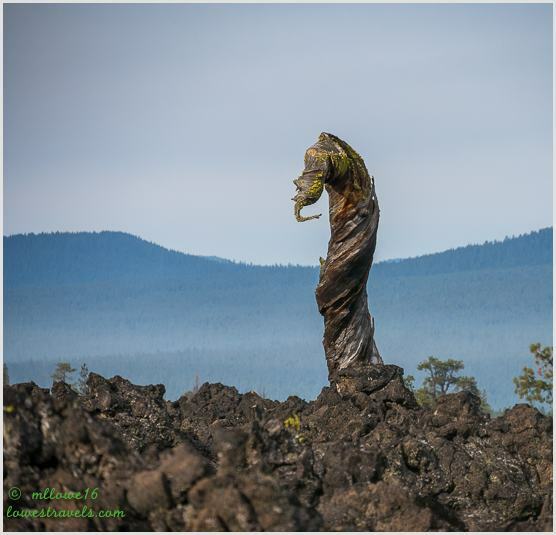 Seems like Bend has been discovered. We love it too and would love to visit in the fall. 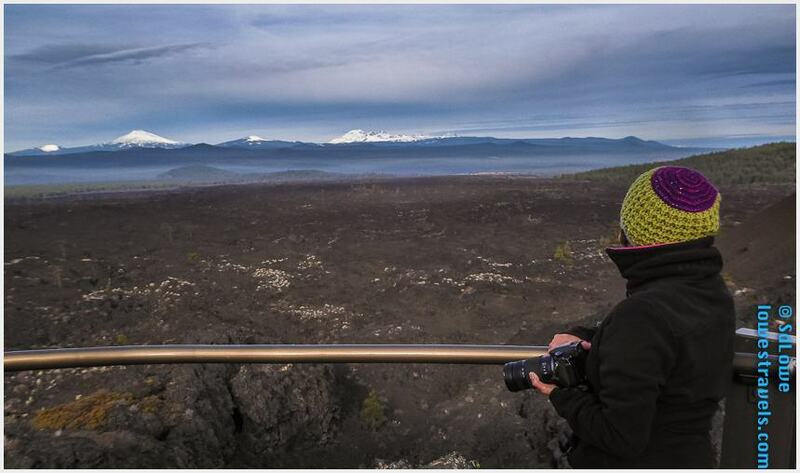 Our son and his family are spending 3 months in Bend to determine if they want to live there. Looks like a beautiful place, but they say it is not cheap to live there! I agree with your son, the homes looked beautiful and definitely pricey. Fabulous pictures in this post Mona Liza. 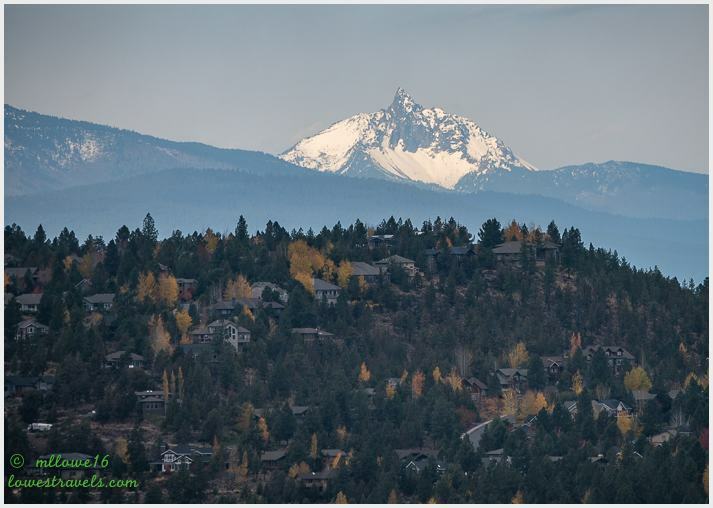 The fall colors are stunning and so is the snow capped mountains. Hope you took a big sniff of that delicious ponderosa pine. 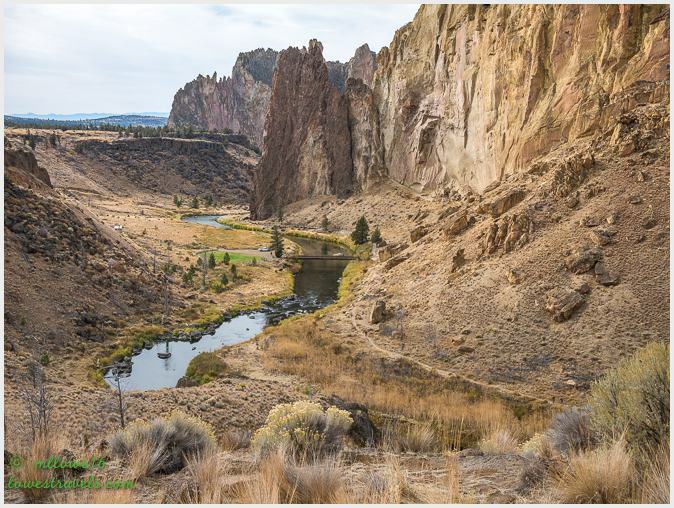 Love your wide angle of the Smith Rock State park and the Crooked River shot. Love you in what looks like flowers in the park but in fall? With snow up high. 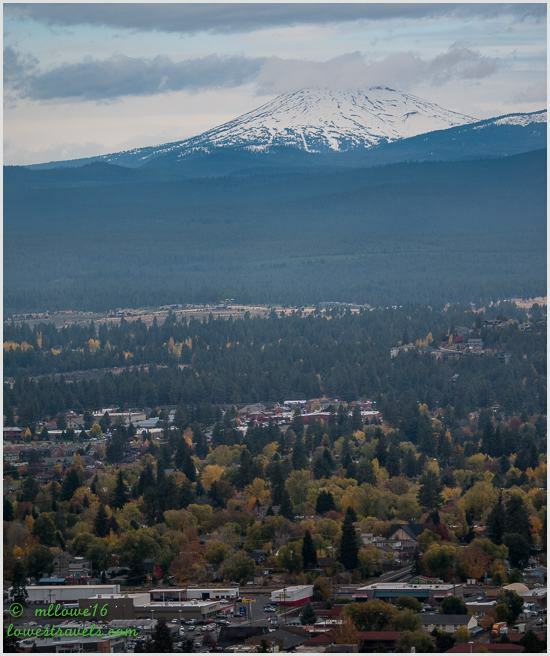 You sure did a lot in Bend. You must have been out and about every single day. Not sure I could keep up with you two. Yep we were out everyday! as we were here only for five days. Those flowers I think were left overs from spring and summer but they were still in full bloom. 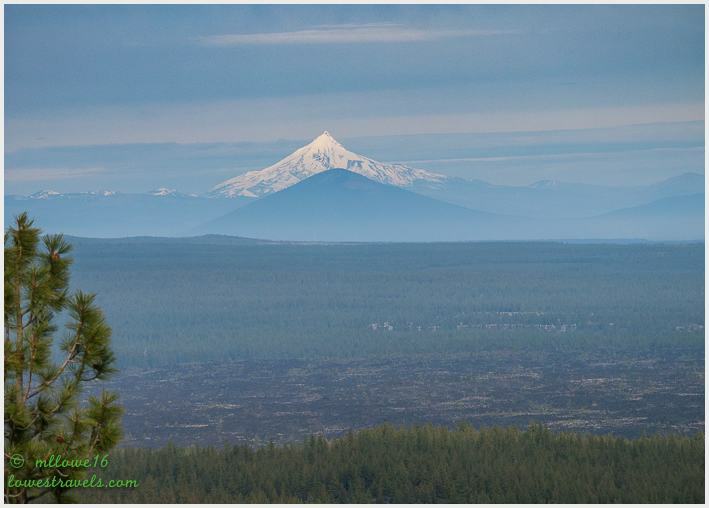 What spectacular scenery surrounds Bend! Nothing prettier that snowy mountains peaks:) The fall foliage was beautiful. I’m afraid we moved south too quickly and we won’t have any fall colors. 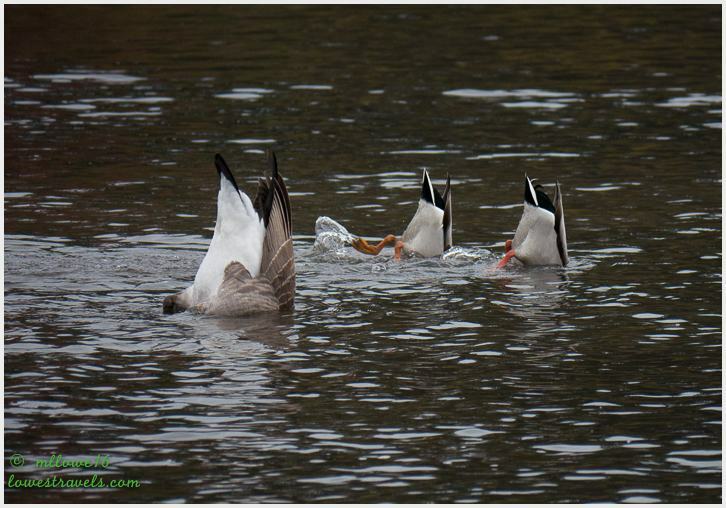 Glad so many people are sharing with us:) Love your duck butts! Nice that you were able to get in a few hikes. I’ve been watching the temps in Bend. I didn’t realize it got so cold in the winter. They have snowflakes twice in the weather for the next two weeks…brrrr!! Too cold for us, I believe. But we do need to visit next year. Thanks for the tour!! Definitely cold up there and once again that turned us off quickly. 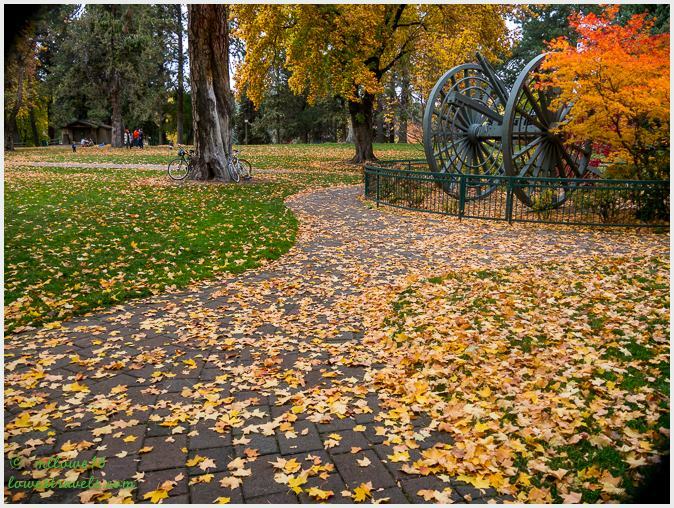 But Bend is beautiful especially in fall and we hope your visit here next year will be in fall. Wish we could go back and redo some of our full-timing adventures. We should have spent much much more time in that area. We didn’t do it justice. I love seeing the fall colors. Beautiful photos. I think Mt. Washington is on the top of my list for mountains. Mt. Hood is awesome but Mt. Washington just has so much character. The chilly air pushed us out quickly but Bend is definitely beautiful in fall and the snow covered peaks added to its allure. We are thinking of a revisit sometime next year and maybe we can drive or hike to Mount Washington. 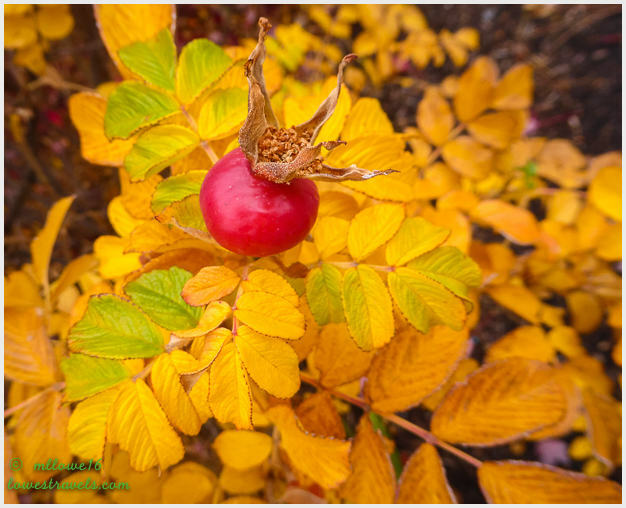 Thank you for more fall photos. Bend looks beautiful and I’ve always heard nice things about the place, but it does look a tad chilly. 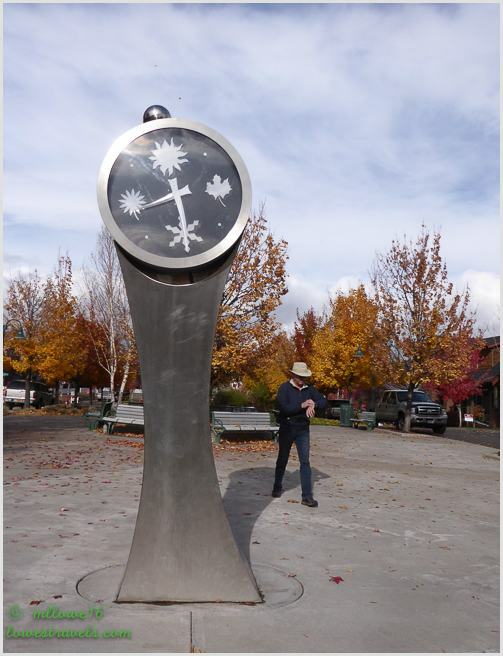 Bend, Oregon is one of our favourite stops. 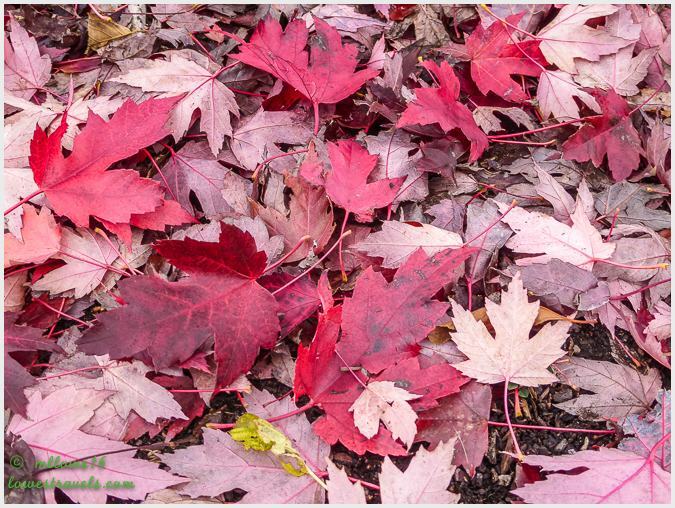 I love you fall color shots, amazing! 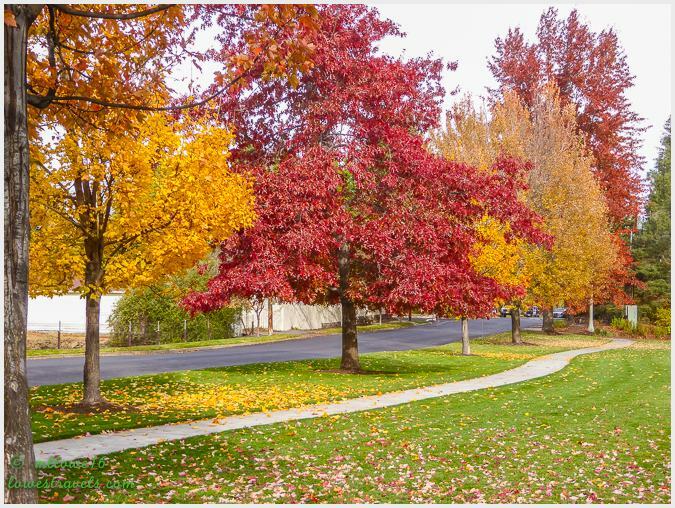 Fall in Bend is really amazing. 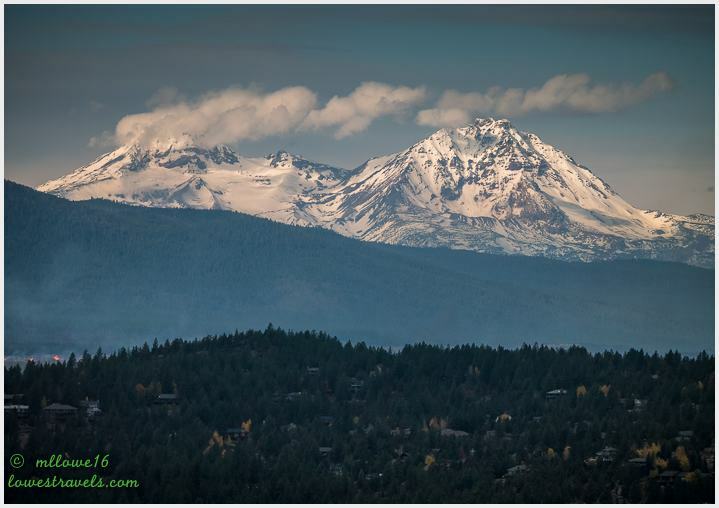 Boy you sure had some fantastic fall colors AND snow on the peaks! Beautiful! Yes, if it weren’t for the extreme growth (and the long cold winters) Bend would be the perfect place to live. So glad you enjoyed your visit in Bend. We wish we had known you were here. When we were still full-timers we came here and did decide to settle down. However we decided to locate in Redmond instead of Bend. 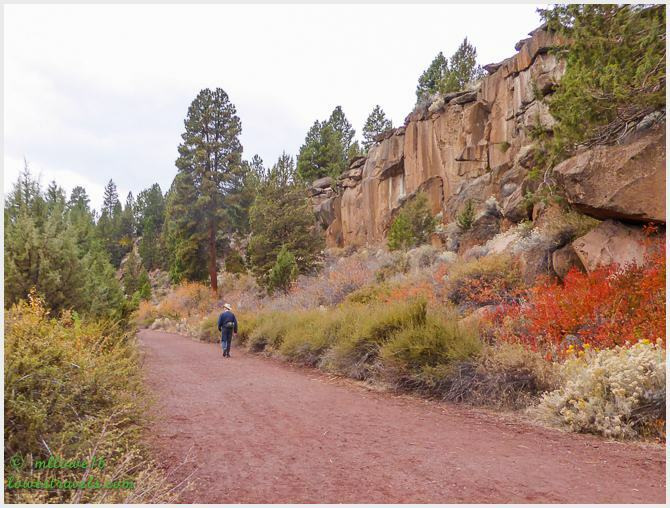 Smaller, less crowded and less expensive than Bend but close to all of Bends opportunities. We love the closeness to all of the outdoor activities. 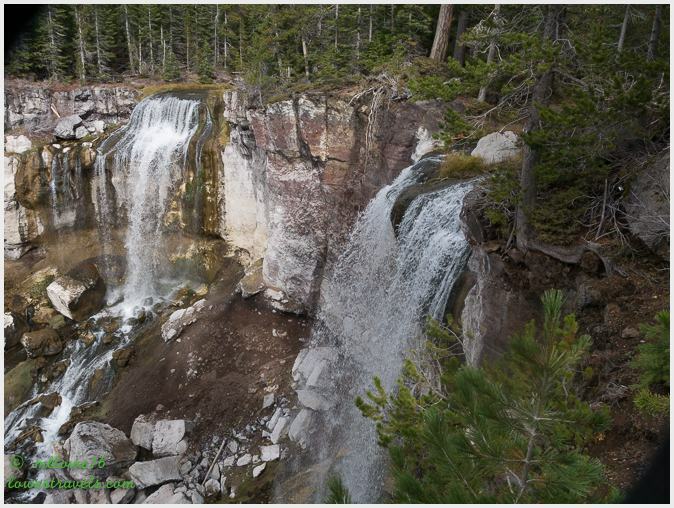 We volunteer with the forest service at least once a week and get to see amazing places. 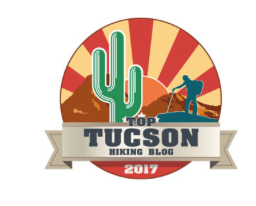 When you come back, be sure to let us know and we can take you to some spectacular hikes. I know we just missed you by a few days 🙂 Redmond is a possibility and away from that traffic that roars in Bend. We were surprised with the round abouts. This place looks so pretty! I love the pictures of the falls, and the lava ness monster! 😉 great post and great pictures! Eric and I LOVE Bend! We spent the last summer full time RVing there. I love the Old Mill and the walking paths around the river. Be sure to visit Greg’s Grill for lunch on the patio. Beautiful. 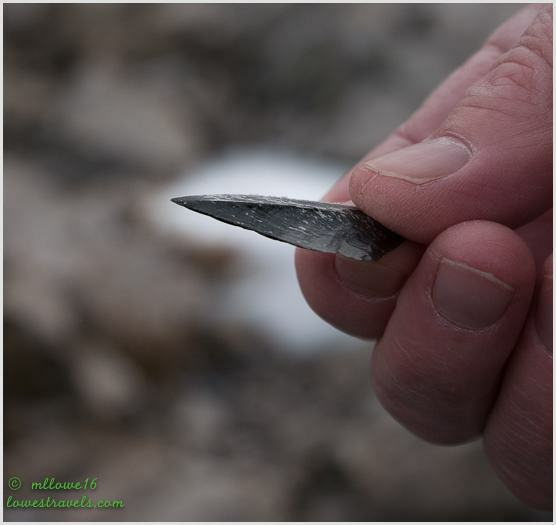 We did many side trips looking for Sunstones, thunder eggs and obsidian in the Eastern part of the state. Too much fun! I wonder if you are still in Oregon and if you were able to sell your property there. 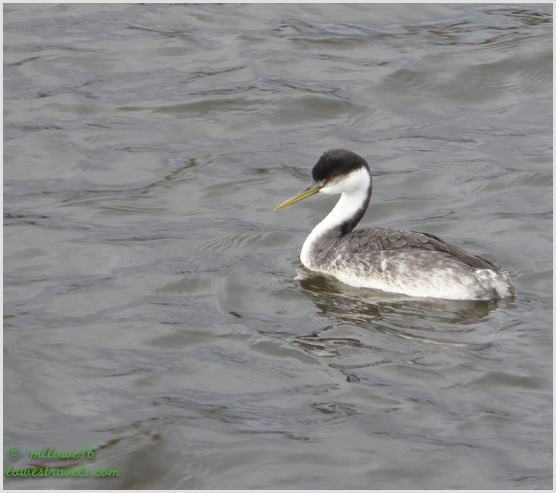 We wanted to linger a bit in Oregon but we were just a little too late and the rain and cold air has already set in.